Right in the middle of Hamburg is the four-star Hotel Baseler Hof. 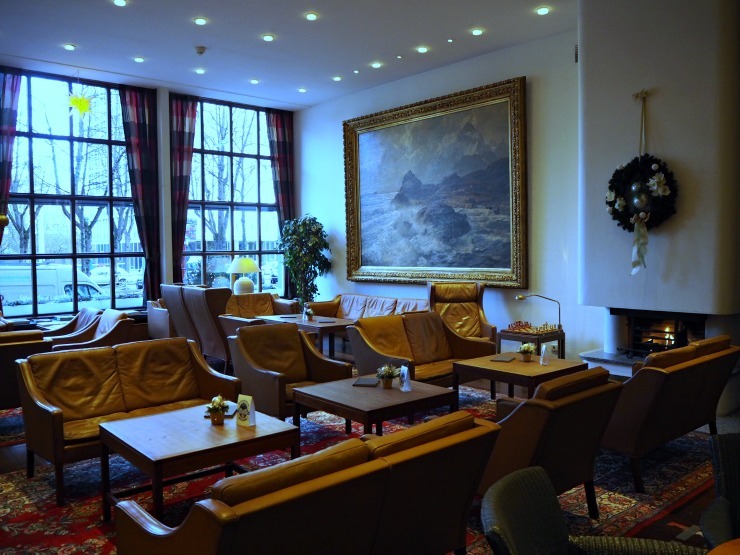 This privately owned, family-run hotel is in the traditional style, a short walk from the beautiful town hall called The Rathaus, and close to the Alster lake. 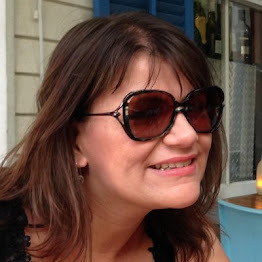 I stayed there recently as part of the Come To Hamburg scheme, where bloggers are invited to Hamburg to see what this vibrant city has to offer and to write about it for their readers. Check-in at Hotel Baseler Hof was super quick and efficient. 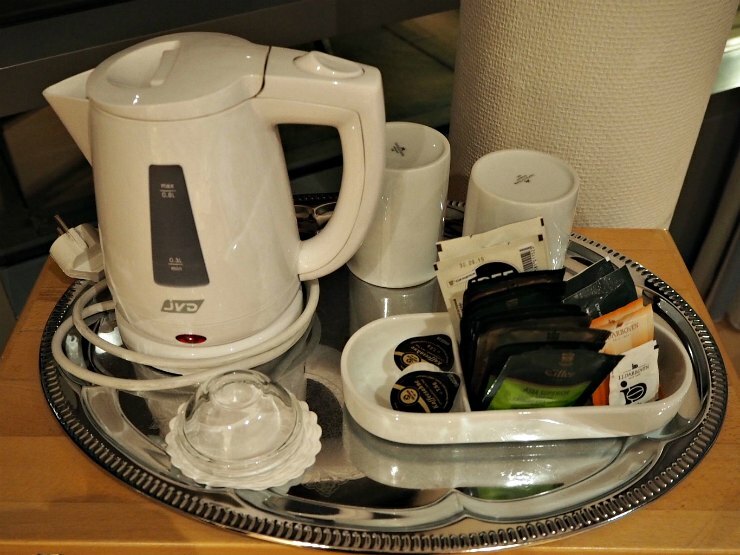 I've always found this when I have visited Germany and this hotel was no exception. The manager and reception staff were really friendly and we were given free tickets to use on public transport for three days with our booking. This is a great perk of staying here and all guests are given this benefit, which is a fabulous touch. Our room was on the 6th floor and was a corner room, with a partial view of the Alster lake. 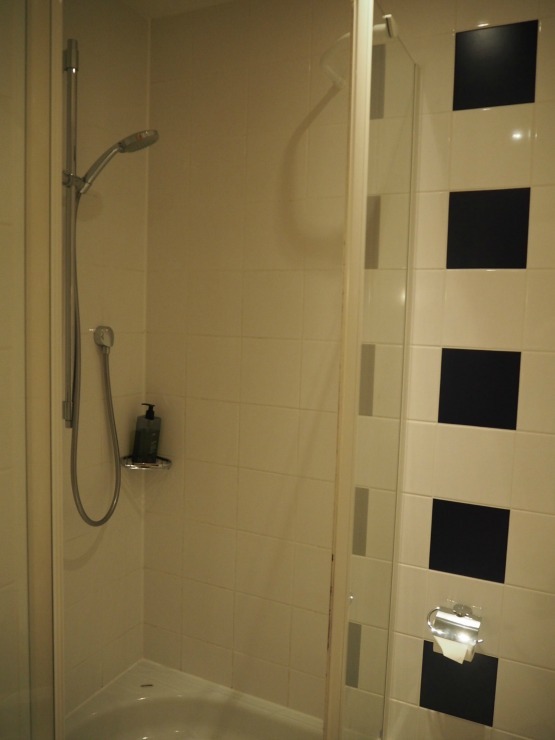 We were really pleased with the room, it was clean, bright and well appointed. It was nice not to see a carpet for a change, as I think it is always difficult to make it super clean in a hotel. The bed was two singles put together, which is often the way in some parts of Europe. This never bothers me, as Mr W usually stays on his side, something he rarely does when we have a double bed! 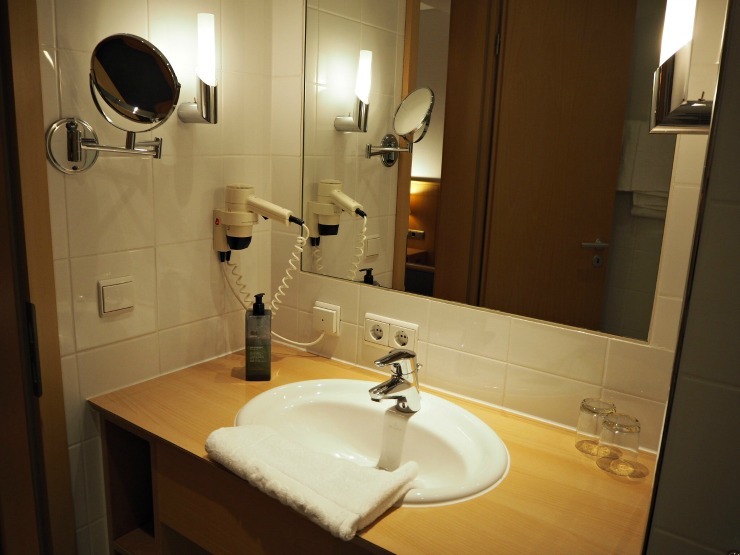 The bathroom was exceptionally clean and consisted of a sink, shower and toilet. Body wash was provided, a magnifying mirror and small hairdryer. If you want conditioner I would bring your own. Black and white wall and floor tiles kept the design simple and chic. Back in the lounge area, tea and coffee making facilities were provided and a basket of fruit was a welcomed touch courtesy of the hotel. The tea had an interesting selection from Asaam to Darjeeling and even Rooibos vanilla tea. 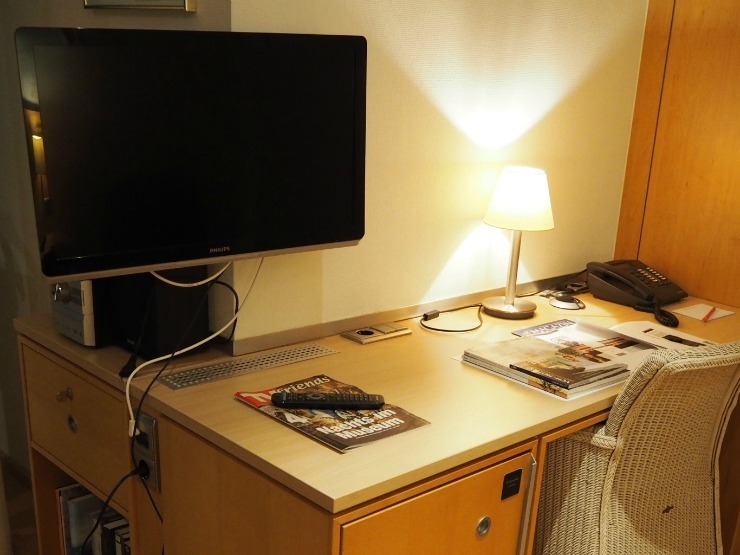 A small flat screen TV, a CD player, minibar, in-room safe and chair and desk were also in the room. The only English channel we could find was BBC News, however, so if you have kids consider bringing something to entertain them like a tablet with movies or games downloaded. 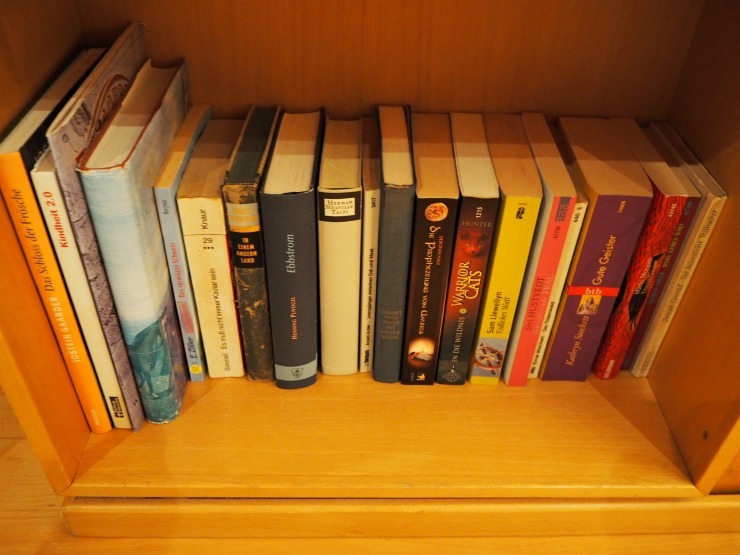 A selection of fiction books was available in the room and is a nice surprise (if you can read German). Breakfast was great. A selection of meats and cheeses, smoked salmon, fresh fruit salad, yoghurts, homemade Bircher muesli and other cereals were included. Hot items such as hard boiled eggs, scrambled eggs, bacon and sausages were also available. It's always interesting to see the items at breakfast we don't have in a UK hotel and herring salad and potato salad were featured here. A variety of juices, coffee and an impressive selection of tea was also available as well as cows milk and soya milk. My only comment would be that it would have been nice to have fresh juice instead of longlife juice. Fruit tea and herbal tea, loose and in tea bags were available, as well as Assam tea, the nearest to English Breakfast tea. Croissants and a mouthwatering selection of cakes were also available and looked really fresh. 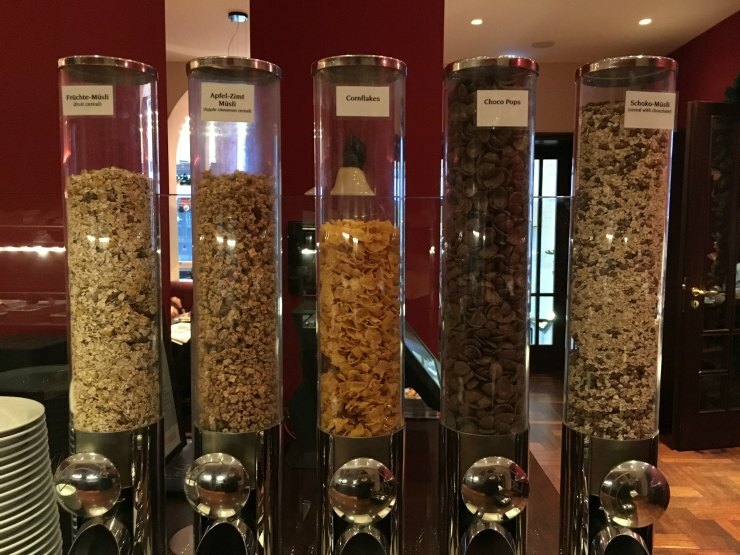 A selection of cereals included cornflakes, chocolate pops and three types of muesli as well as freshly made Bircher muesli that I had every day. Delicious! 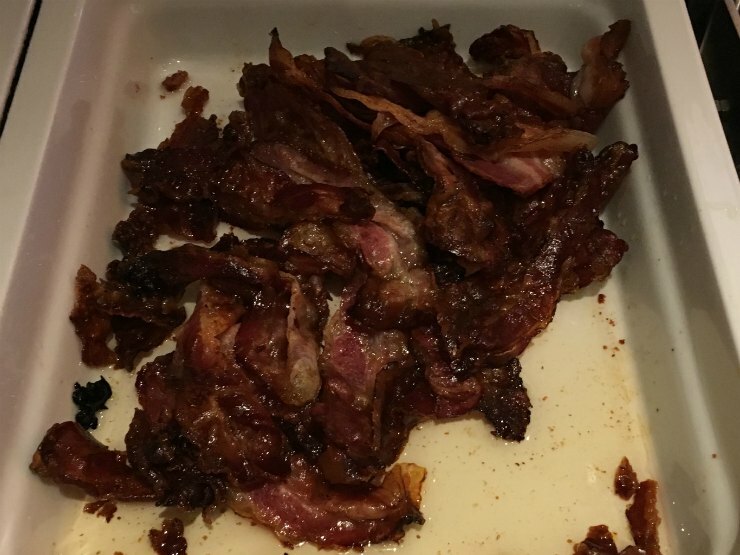 If you are a meat fiend like my son, you will appreciate the sausages and super crispy streaky bacon, similar to the style they have in the US, deep fried and crunchy. So you can see there is a wide choice of options for most people for breakfast, both healthy and not so healthy. So after breakfast, I went on a wander of the other facilities in the hotel. 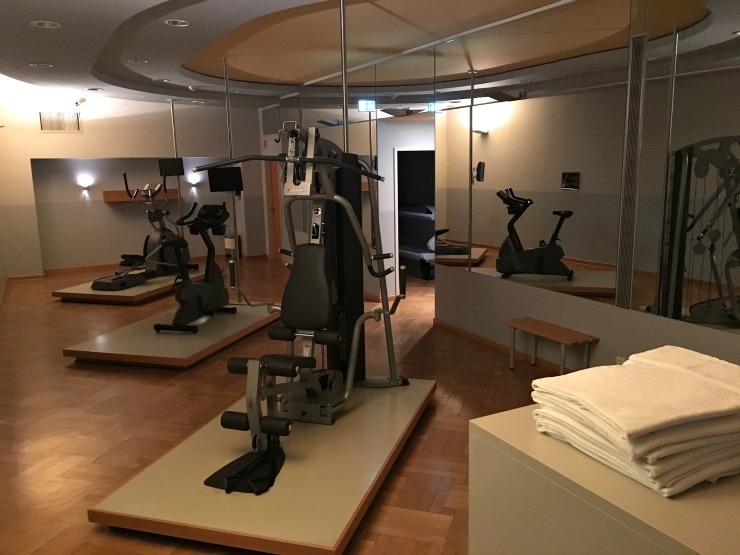 There is a small gym with a few different exercise machines, towels and changing facilities. The hotel also has a sauna which you can use to relax in. 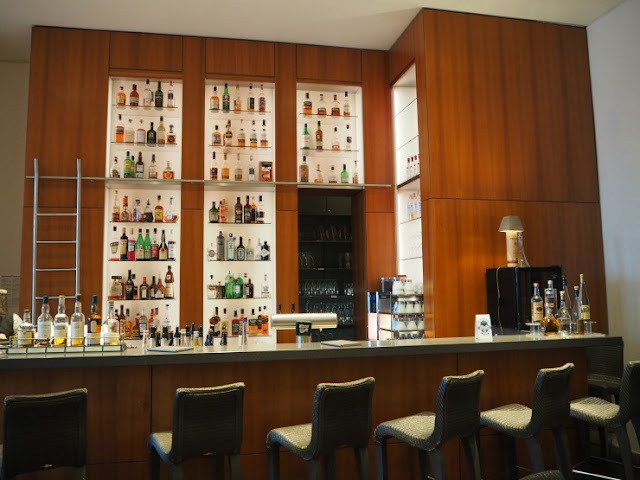 Next, to the reception, there was a large lounge and bar area, where you can order wine, beers, spirits, cocktails and tea, coffee and soft drinks. I can recommend the hot chocolate which was delicious and came with scrumptious little biscuits. Little touches in the lounge were lovely, like a chess set to play with, a bowl full of fruit and nuts and a selection of local magazines. 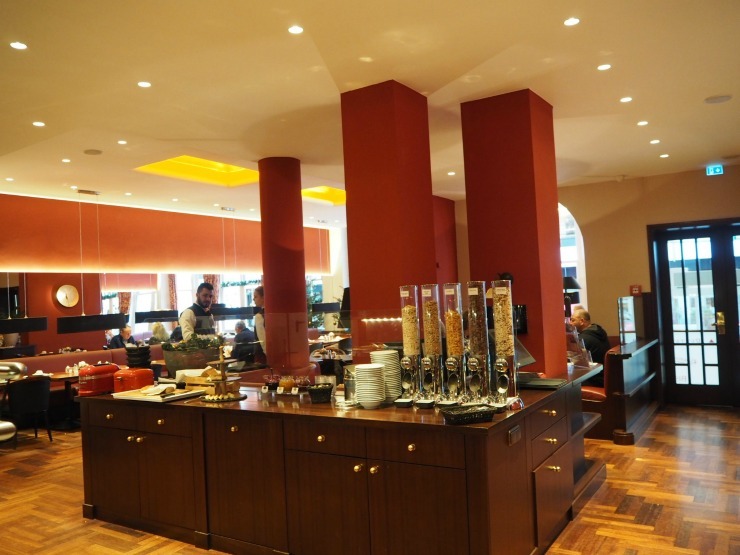 In the hotel, there is the main restaurant as well as a bistro and wine bar. The main restaurant serves classic German dishes such as Hamburg fish with mustard sauce and fried potatoes and homemade bratwurst with apple sour cabbage and mash. Main courses were priced roughly from 15 to 30 Euros. We didn't have the chance to try the food as the restaurant was closed on our first night (Sunday) and we had reservations for the other nights, but the menu online looked enticing. 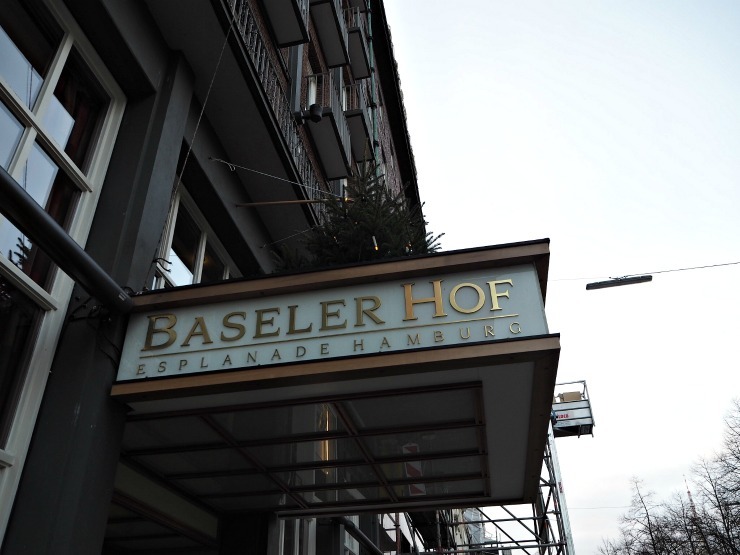 The Hotel Baseler Hof is a well-situated hotel in the centre of Hamburg a short 10-minute walk from the Rathaus area. The hotel staff were friendly, efficient, and very helpful. Room prices were from 81 euros for a single room to 146 euros for the superior room we had. 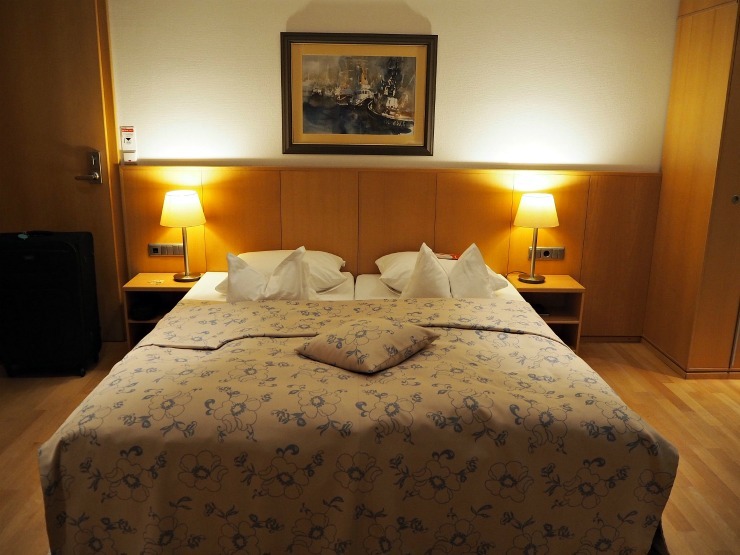 Suites are also available from 200 euros per night. 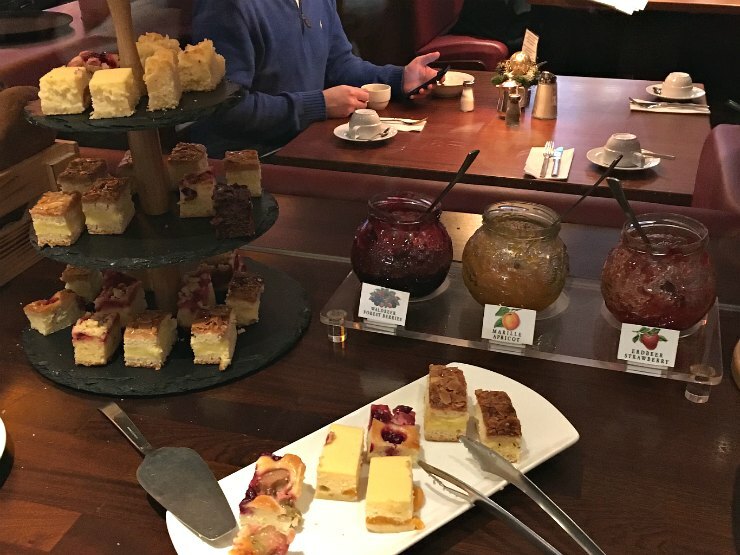 We enjoyed our stay at the Hotel Baseler Hof and were particularly impressed with how super clean the rooms were and the lovely buffet breakfast. 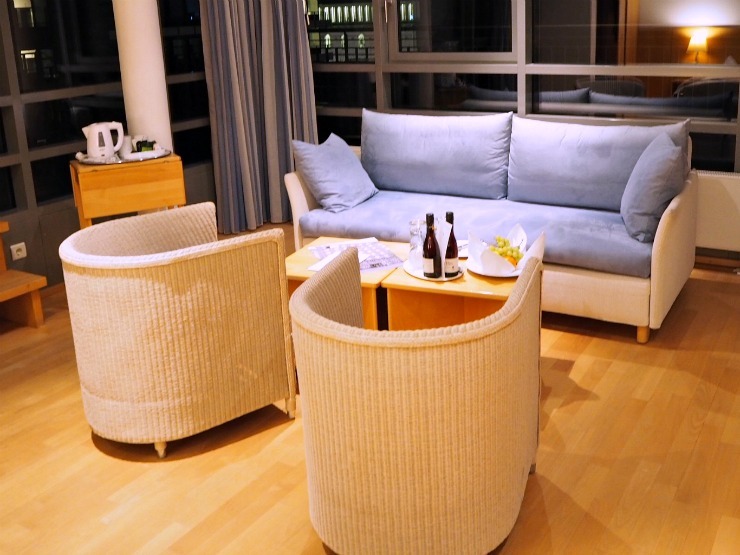 The lounge area was also cosy and a nice respite from the December cold weather at the end of the night. We had a few cocktails and hot chocolates in the lounge and it was a lovely place to chill. 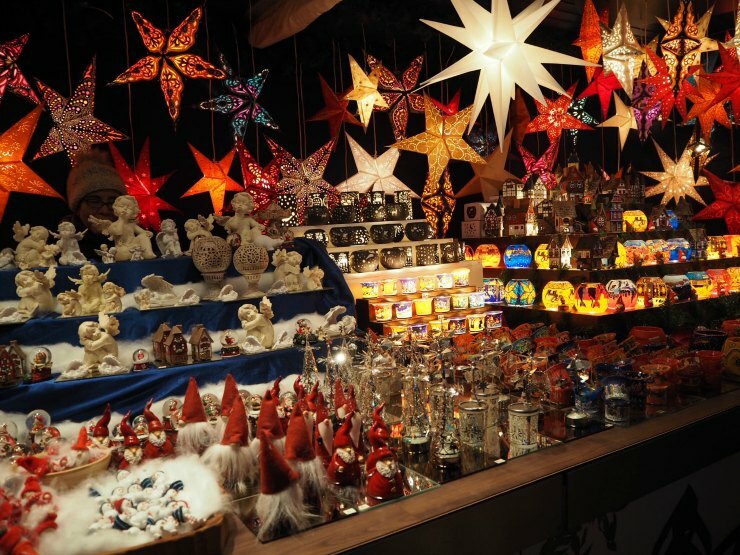 A big plus point was the excellent location, and with two of the best Christmas markets, around the Alster Lake and the Rathaus, a short walk away as well as many shops and restaurants on your doorstep it was perfectly located. If you want to see more, check out the video below from the travel blog and YouTube channel Fly Drive Explore that I create with my husband. We both said we would be very happy to stay here again. The Hotel Baseler Hof in Hamburg is a traditional four-star hotel, in a great location, with efficient pleasant staff and a decent breakfast. Recommended. It has an excellent location and the breakfast was very good! I am very impressed with their range of breakfast options and I love that there is something for everyone, even for vegetarians like myself. 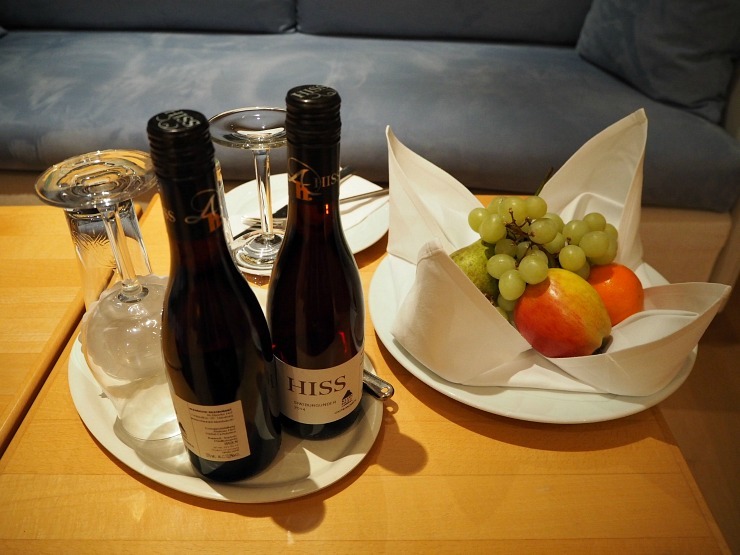 I am so glad that you enjoyed your stay at hotel basler hof hamburg! What a lovely looking place to stay - the hotel looks comfortable and has everything you might need (though I had to double take at the hairdryer right by the sink haha). 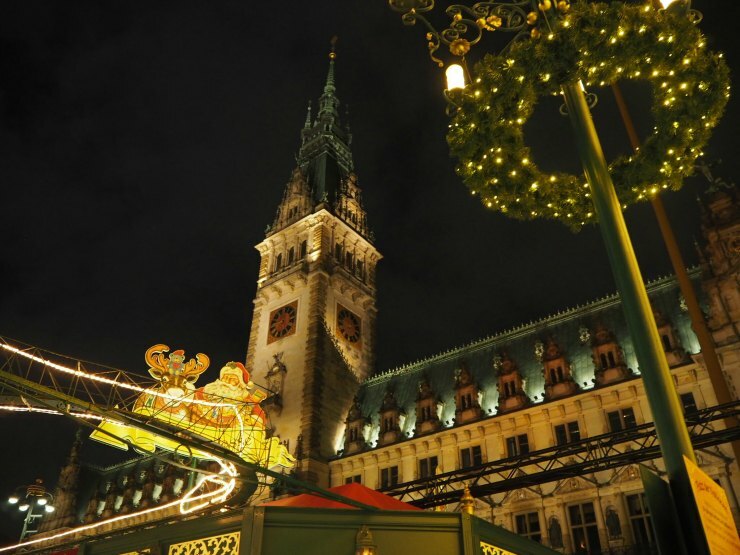 Hamburg looks like a beautiful place to visit as well especially around Christmas. The hairdryer is an older style but worked perfectly. It's a great place to stay around Christmas I agree! This place looks so nice to go and visit, have to say the cakes look so yummy too. A nice place to stay with a pretty good price. 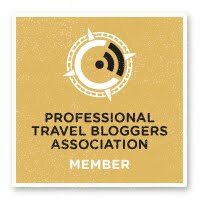 And how awesome the give everyone free tickets to use on public transport. The Christmas market is on my bucket list .. one day. The free tickets for public transport was very handy I have to say. Hamburg is an easy place to get around on public transport, and I found the UBahn particularly easy to use. 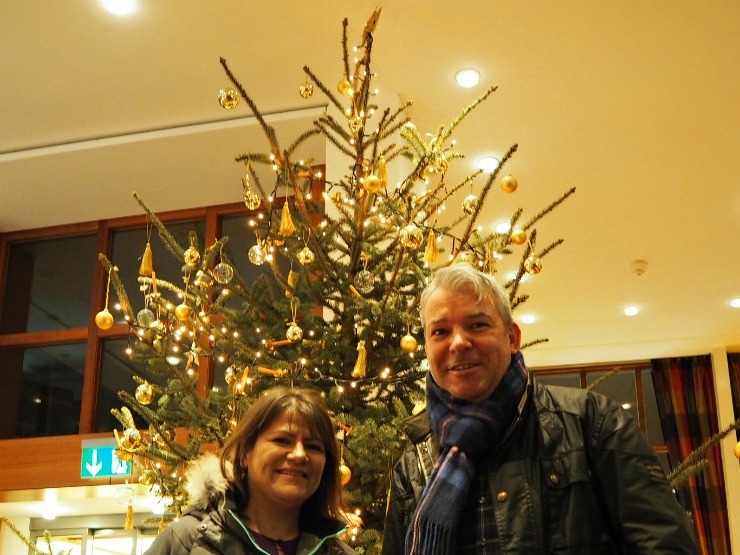 It is certainly a great time to visit, as the Christmas markets were excellent. What a lovely looking hotel. I have to say one of my pet hates is not having fresh fruit juice for breakfast but those cakes look amazing and would make up for it. Looks like a great stay. I was surprised how amazing the Christmas markets were, and how beautiful the city looked. The breakfast was really good. Nice to have a decent breakfast to start the day. The fruit bowl was a lovely surprise! The hotel looks great - the perfect base to explore. 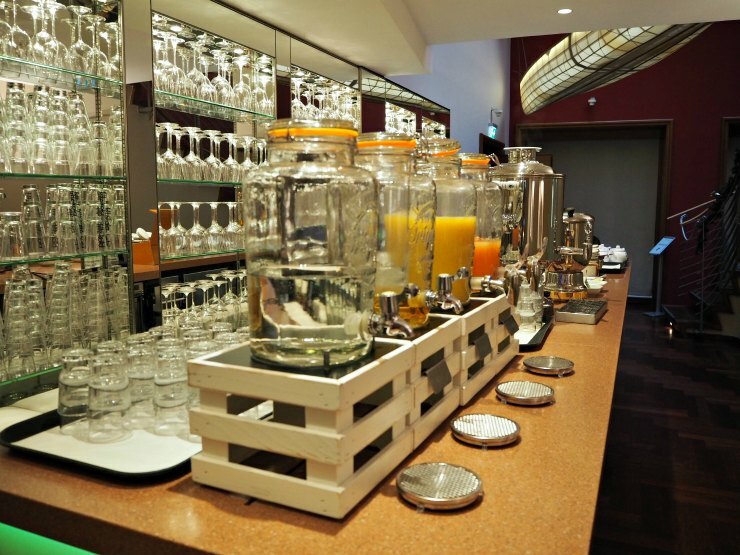 I have never been to Hamburg so I'l keep this hotel in mind for my future visit! The hotel look lovely. I must admit I do love having two single beds pushed together as it’s more spacious and the Mr tends to actually stay on his side also. 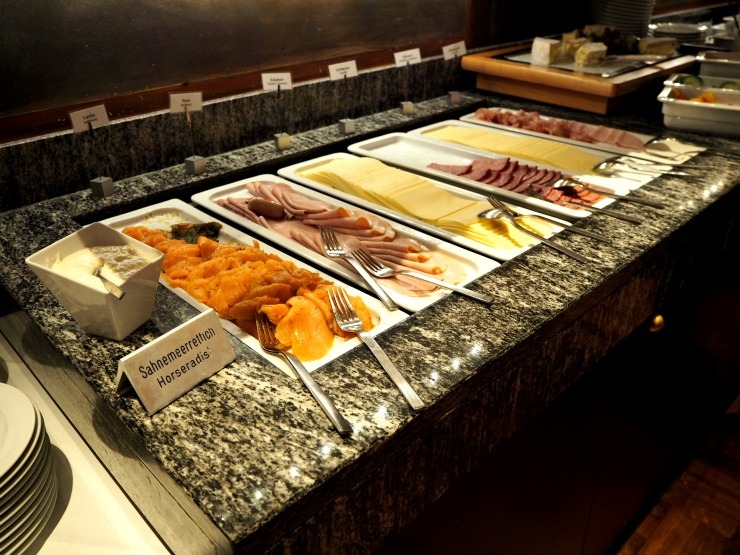 And the continental breakfast looks mouth watering. I'll be honest and find that two singles put together would worry me as I tend to sleep right in the middle of the bed and I'd fall down the crack! But the free transport tickets is certainly a bonus and the breakfast spread looks divine. 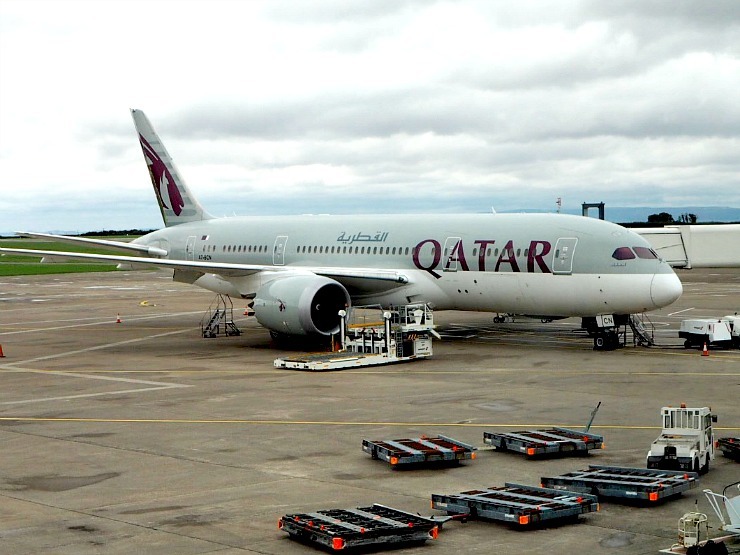 It is often a style you will see outside of the UK and in Europe especially. We love the look of the breakfast as we are big brekkie fans. Its great that it is in a central location too so easy for families. What a wonderful hotel with a great selection of food. It is making me hungry and want to visit Hamburg! 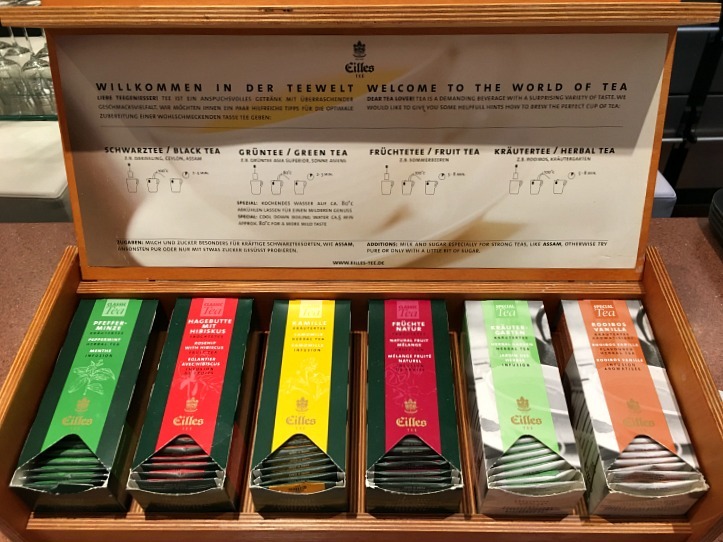 This looks like such a beautiful hotel and as a tea lover, I'm really impressed with the selection they have on offer! A very good selection of tea I thought. Never been to Hamburg although it looks like a lovely place to visit. The hotel looks beautiful. I love how simple and chic it all looks. That breakfast buffet looks perfect to me too.